Nov 1, 1999 - ... S. Chen for isolating the cDNA clones and sequencing, and Joe ... Beech, P.L., K. Pagh-Roehl, Y. Noda, N. Hirokawa, B. Burnside, and J.L..
Jan 24, 2010 - tution of Prnp with enhanced green fluorescent protein (EGFP)11. (n = 3; Fig. 1a). No signs of neuropathy were detected in age- and. software (MBF Bioscience). The length of the axonal tree, length of the main branch of axon and length of dendrites were measured using. Neurolucida Explorer. Finally, since the myelin abnormalities found in tbl mice are histological hallmarks of neuropathic ..... at the Schmidt-Lanterman incisures in tbl sciatic nerve. (Fig. Apr 7, 2009 - plaque formation in both AD animal models and Down's syndrome patients ... be transported from the cell body into axons throughout life for. Apr 2, 2004 - Previous work has shown that the ER-localized pool of CTA1 is rapidly ... induces the life-threatening diarrhea characteristic of cholera. Jan 13, 2012 - Chen PI, Kong C, Su X, Stahl PD. 2009. Rab5 isoforms differentially regulate the trafficking and degradation of epidermal growth factor recep-. (A) Coimmunoprecipitation of APP with kinesin-I subunits from mouse brain and sciatic nerve ..... of APP was estimated by curve-fitting (see Experimental. Apr 2, 2004 - trophic for proline and were provided by Henry Wu (Uniformed Services Uni- versity of ...... Fujinaga, Y., A. A. Wolf, C. Rodighiero, H. Wheeler, B. Tsai, L. Allen, M. G.. Jobling .... Watkins, P. A., J. Moss, and M. Vaughan. 1981. Anterograde a xonal transport. NM_079325. NP_524049. . Klc2. 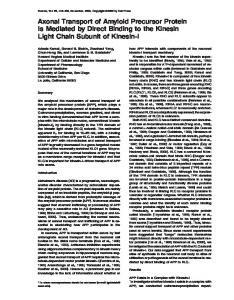 Kinesin light chain. C. elegans km11, k m28. Mislocalization o f. S nb-GFP. Synaptic vesicle. axons, the radio-labeled population of NFs moves undirec- tionally down axons and is distributed within the axon as a unimodal, smooth, bell-shaped wave. Jul 1, 2007 - Oklahoma City, OK 73104. Phone: (405) ...... Wang, Y., Z. Cao, R. F. Newkirk, M. T. Ivy, and J. G. Townsel, 2001 Molecular cloning of a cDNA for. Lee, K., W. Metcalf, and B. Wanner. 1992. Evidence for two phosphonate ... Metcalf, W. W., and B. L. Wanner. 1991. Involvement of the Escherichia coli. 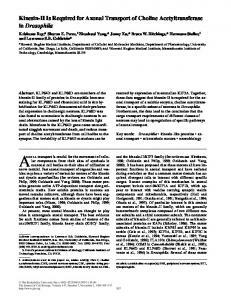 Sieving, P. A., Sheils, D. M., McNally, N., Creighton, P. et al. (1997). ... Pedersen, L. B., Miller, M. S., Geimer, S., Leitch, J. M., Rosenbaum, J. L. and Cole,. Sean W. Deacon,1 Anna S. Serpinskaya,1 Patricia S. Vaughan,2 Monica Lopez Fanarraga,3 Isabelle Vernos,3. Kevin T. Vaughan,2 and Vladimir I. Gelfand1. 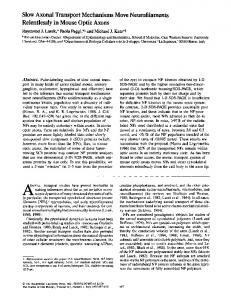 Jun 11, 2010 - ... Shionoya A, Ishida M, Gambello MJ, Yingling J, Wynshaw-Boris A, .... Coutelis JB, Ephrussi A: Rab6 mediates membrane organization and. Nov 1, 1999 - axons in axon bundles (Hurd and Saxton, 1996; Gindhart ..... ron-specific kinesin superfamily protein KIF1A is a unique monomeric mo-. Address correspondence to Lawrence S.B. Goldstein, Howard Hughes Medical Institute/CMMW, Rm. 334, University of California, San Diego, 9500 Gilman Drive, La Jolla, CA 92093-0683. Tel. : (858) 534-9702. Fax: (858) 534-9701. E-mail: [email protected] S. Perez’s present address is Division of Biology, California Institute of Technology, Pasadena, CA 91125.
nicotinic acetylcholine receptor(s); PNS, peripheral nervous system; SYT, synaptotagmin. a TM3, Ser ,y1. balancer in a yw background. We generated point mutations in the KLP64D gene by scoring failure of ethyl methanesulphonate (EMS)-induced lethal mutations to complement a deletion that removes the KLP64D gene, Df(3L)Klp64DA8.n123. 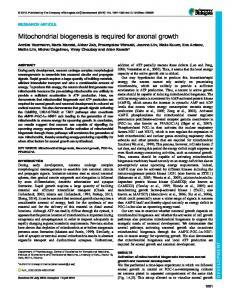 In brief, mutagenesis followed standard methods (Grigliatti, 1986) in which 2-d-old adult isogenic w males were fed with 27 mM EMS in 2% sucrose solution for 16 h, put on fresh food for 1 d, and then groups of 10 males were mated to 40 w; TM3, Sb Ser/TM6B, Tb Hu (Lindsley and Zimm, 1992) virgin females (60 matings). Individual male progeny that were TM3, Sb Ser/* or TM6, Tb Hu/* (where * indicates a mutagenized third chromosome) were then mated to four yw Df(3L)Klp64DA8.n123/TM3, Ser ,y1. virgins (9,000 matings). The progeny of these matings were screened for the absence of */Df(3L)Klp64DA8.n123 flies. TM3,Ser /* males from appropriate lines were then mated to yw, TM3, Ser ,y1./MKRS Sb virgins to create a stock. The mutagenized third chromosome was cleaned up and the lethal mutations mapped by recombination with a chromosome containing ru h th st cu sr e ca. We found eight recessive lethal mutants that failed to complement Df(3L)Klp64DA8.n123 and that mapped to the KLP64D region. These lethal mutations fell into three complementation groups, one of which was found to identify the KLP64D gene. Transgenic Rescue of KLP64D Mutant Phenotypes A 3.6-kb KLP64D genomic fragment in pB11-4 was cleaved out by NotI and XhoI endonuclease digest and ligated to the same sites of pUAST (Brand and Perrimon, 1993) and named pUAS64D. This maintained proper orientation of the KLP64D coding sequences with respect to the UAS sites in pUAST. We recovered several stable transformant lines (marked by w1 eye) in the X and in the second chromosome by injecting pUAS64D with a helper plasmid, containing the P-transposase gene, in yw embryos. These lines were then crossed to the Klp64D mutants. Rescue of lethality was scored both at the larval stages as well as in the adult, where the homozygous mutants are marked by yellow body color. For rescue experiments using the mouse KIF3A gene, an inducible transgene was created by inserting a full length KIF3A cDNA (Kondo et al., 1994) obtained by standard methods between the EcoRI and the NotI restriction sites of the pUAST vector (Brand and Perimon, 1993). This arrangement placed the 59 end of the KIF3A coding sequence near the GAL-UAS transcription activation sites. Stable transformant lines were then obtained by P-element–mediated transformation. Expression of the KIF3A transgene was induced in all neurons by Gal4 driven from the promoter of the elav gene inserted in the third chromosome (Luo et al., 1994). 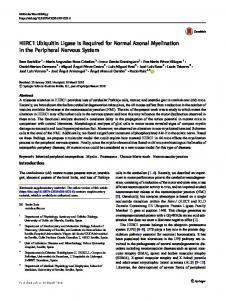 Materials and Methods RNA In Situ Hybridization Unless noted, all molecular biology experiments were done by standard methods (Sambrook et al., 1989). Fly husbandry and other related procedures were as described (Ashburner, 1989; Goldstein and Fyrberg, 1994). All fly stocks, unless otherwise mentioned, are described in Lindsley and Zimm (1992). In situ hybridization was done according to Tautz and Pfeifle (1989), with modification as described in Pesavento et al. (1994) and Perez and Steller (1996). An antisense strand-specific ribo-probe was made from the 1.6-kb Spe I/Hind III fragment subcloned in pBluescript SK. A 150-bp PCR amplified KLP64D (KLP4 in Stewart et al., 1991) sequence was used as a probe to isolate several truncated cDNA clones from a Drosophila 0–4-h embryonic library cloned in pNB40 (Brown and Kafatos, 1988). A composite 2.5-kb KLP64D coding sequence was created from several cDNA clones. Nested deletions were created in the cloned cDNA fragments in either direction using an ExoIII kit (Promega Corp.) according to the protocol provided by the manufacturers. Both strands were sequenced using either the T7 or the T3 primers, and later the whole parental clones were sequenced using the internal primers generated from the primary sequences. Several overlapping genomic fragments were isolated from a Drosophila genomic library in Lambda DASH® II using the KLP64D cDNA probe, and the coding sequences were further mapped to a 3.6-kb EcoRI/HindIII fragment, which was then cloned into pBluescript SK1 (Stratagene Inc.) and called pB11-4. Sequencing this genomic fragment revealed a single continuous open reading frame without any intron, and matched the KLP64D cDNA sequence. An affinity column was prepared by cross-linking about 10 mg of truncated, bacterially expressed and purified glutathione S-transferase– KLP68D (Pesavento et al., 1994) to 1 ml Affigel-10 (Bio-Rad Laboratories) beads according to the protocol supplied by the manufacturer. These were packed in a 15-ml plastic column (Bio-Rad Laboratories) and blocked thoroughly with 100 ml of 10% BSA (Sigma Chemical Co.) in 10 mM TrisCl, pH 7.0, 100 mM NaCl, and 5 mM KCl (TBS-BSA), then washed in succession with 15 ml of 100 mM glycine, pH 2.5, TBS-BSA, 100 mM triethanolamine, pH 11.5, and finally twice with TBS-BSA. It was then loaded with the antiserum, washed twice with 15 ml of TBS-BSA, and the bound antibody was extracted with 1 ml of 100 mM glycine, pH 2.5 (Harlow and Lane, 1988). We tried all three methods of 1 M MgCl2, 100 mM glycine, and 100 mM triethylamine extraction and found glycine to be the most suitable. The purified antibody was dialyzed against TBS overnight and stored at 48C with 0.2% NaN2. subunits were tested for in vitro motility, and thus far, they invariably demonstrated plus end–directed microtubule dependent motility (Cole et al., 1993; Pesavento et al., 1994; Yamazaki et al., 1995). These observations, in concert with axonal ligation experiments, suggest a role for these motors in anterograde axonal transport (Kondo et al., 1994; Yang and Goldstein, 1998). Investigation of the cargos transported by kinesin-II has provided some intriguing clues. In nonneural cells, kinesin-II has been suggested to transport melanosomes in melanophores (Rogers et al., 1997), ER or Golgi components in the secretory pathway (Le Bot et al., 1998), and flagellar components in ciliated cells (Kozminski et al., 1993, 1995; Walther et al., 1994; Piperno et al., 1996; Vashishtha et al., 1996; Morris and Scholey, 1997; Piperno and Mead, 1997; Nonaka et al., 1998; Marszalek et al., 1999; Takeda et al., 1999). Interestingly, in cilia and flagella, the cargo transported may be in the form of protein complexes rather than membrane-bound organelles (Rosenbaum et al., 1999). Similarly, there is intriguing evidence that these motors may also be used in the evolutionarily divergent immotile sensory cilia in Caenorhabditis elegans (Tabish et al., 1995; Orozco et al., 1999; Signor et al., 1999). In neuronal axons, the kinesin-II cargo is unknown, but there is some evidence for a membrane-bound form based on fractionation and localization experiments (Henson et al., 1995; Yamazaki et al., 1995; Muresan et al., 1998; Yang and Goldstein, 1998). However, at present, definitive evidence about the cargo of kinesin-II in axons is absent, as is proper understanding of its in vivo functions in nonciliated cells. Here we report our investigations of kinesin-II in Drosophila and present evidence that at least one function is the axonal transport of choline acetyltransferase (ChAT) in a subset of neurons. buffer containing 0.1 M b-mercaptoethanol, 10% glycerol, and 0.1% bromophenol blue, and centrifuged at 14,000 g for 5 min at room temperature. The supernatant was boiled for 3 min and then separated by 10% SDS-PAGE and transferred to a polyvinylidene difluoride membrane (Harlow and Lane, 1988). The Western blots thus prepared were stained with several primary antisera and corresponding peroxidase-coupled secondary antisera (Jackson Laboratories, Inc.), and developed using the ECL kit (Amersham Pharmacia Biotech) according to the protocol supplied by the manufacturer. For coimmunoprecipitation experiments, methods were essentially as described in Yang and Goldstein (1998). In brief, extracts of isolated Drosophila heads in RIPA buffer (50 mM TrisCl, pH 8.0, 1% NP-40, 0.1% SDS, 0.5% sodium deoxycholate, 150 mM NaCl) were subjected to immunoprecipitation, run on SDS polyacrylamide gels, and then probed in Western blots by standard methods. Figure 1. The protein sequence of KLP64D is homologous to KIF3A of mouse and KRP85 of sea urchin. The identical sequences are shown as white letters in black background, whereas functionally similar ones are marked with gray boxes in the background. Multiple sequence alignments were done using the pileup program of the GCG analysis package with default options set. Sequence identities were highlighted using Box shade 3.21 shareware provided by the ISREC Bioinformatics Group (http://www-isrec.unil. ch/isrec.htm). The location of Klp64D mutant changes are noted. laser scanning confocal device which was fitted to a Nikon Diaphot 200, and the images were captured by the Laser-Sharp 3.0 software. Images were further processed in Adobe Photoshop 4.0 for presentation. Most of the pictures contain data from 3–10-mm thick regions in the tissue. signment is also supported by the finding that the lethality of KLP64D mutants can be rescued by expression of mouse KIF3A (see below). Figure 2. KLP64D gene expression pattern revealed by RNA in situ hybridization with a specific probe encoding the COOH terminus made from a 1.6 kb Spe I/HindIII fragment, labeled with digoxygenin-dUTP, and visualized using alkaline phosphatase activity linked to an antidigoxygenin antiserum. Bars: A, 100 mm (A, B, and D); C, 25 mm. (A) Arrows indicate staining in the developing CNS of a stage 12/13 embryo when germ band retraction is partly complete. The anterior side of the embryo is towards the left and the ventral side is down. (B) The expression in the PNS is first detected at late stage 17 of embryogenesis, after the completion of germ band retraction and dorsal closure. Most of the neuronal development is complete by this time. The small arrows indicate staining in the lateral chordotonal (lch) neurons. All eight lch5 cells of the abdominal segments and one lch3 in the third thoracic segment are visible. The arrowheads indicate dorsal chordotonal organs in each of the abdominal segments. The large arrow indicates the optic lobe in the CNS. (C) An enlarged view of lateral pentascolopedial chordotonal organs (lch5) of a late stage 17 embryo stained by the KLP64D probe revealed the cytoplasmic outline of the cells. There are five lch5 neurons clustered together at the basal side of the epidermis. (D) Staining in the brain of a third instar larva. A low level of expression is seen in the cells of the ventral ganglion (arrowheads) and in the optic lobe (arrow). Arrows indicate the staining in the optic lobe region where inputs from the bolwig nerve as well as the photoreceptor neurons of the larval eye disc is received. A faint staining is also observed in the crescent shaped developing lamina region of the optic lobe. Figure 3. Immunostaining pattern of rabbit antiKLP68D (A, C, and E) and anti-HRP (B, D, and F) in the epidermis of a late stage 16 embryo. The anterior side of the embryo in all the figures is placed towards the left and the dorsal side is upwards. The KLP68D antiserum stained neuronal soma of a subset of sensilla while anti-HRP marked all the sensory neurons in the epidermis (Jan and Jan, 1982). Sense organ nomenclature is followed as in Campos-Ortega and Hartenstein (1997). Bars: A, 50 mm (A–D); E, 10 mm (E and F). (A) The anterior part of the embryo is shown, including the first two thoracic segments. Relatively strong staining of the dorsal (dch3) and lateral (lch3) chordotonal organ neurons in the first and second thoracic segments is evident. The polyinnervated external sense organ (vbd) and external papilla (Py) in the second and first thoracic segments, respectively, are only weakly stained. Similarly, the dorsal (do) or antennalles organ and the terminal organ (to) or maxillarorgan are weakly stained. Most of the sensory cells of these two organs are just beyond the plane of focus. The faint staining observed in a group of cells (indicated by an asterisk) in the dorsal region of the first thoracic segment are identified as bolwig organ. (B) The same region as in A labeled with goat anti-HRP, which stains all neuronal cell bodies and processes and clearly shows that only a subset of neurons are stained for KLP68D. (C) Staining in the abdominal segments is shown. The cell bodies of the lateral (lch5) and the ventral (vch1x2) chordotonal neurons are relatively strongly stained. The neuronal cell bodies of ventral papillae (vp4 and vp5) and the lateral trichoid sensillum (lh2) are less intensely stained. In addition, there is weak staining in some unrecognized cells in between vp4 and vp5. (D) Same field as in C stained with anti-HRP. (E) A high magnification image of a region of the lateral epidermis containing the pentascholopedial organ (lch5) and other sensilla. Staining is restricted to the neuronal cytoplasm of the lch5. (F) The same field as in E stained with anti-HRP, which highlights all the neurons. Identified neurons are marked in the figure. The neurons of the monoinnervated external sensilla, lh1 and lp2, and the multi-dendritic neurons, ltd and lda, are not stained significantly relative to lch5. mined with certainty only in the neurons of the chordotonal organs (Fig. 2 C and Fig. 3 E), bolwig organ cells, and in the antenno-maxillary complex. We noted that the KLP64D and KLP68D distribution was similar to that of acetyl cholinesterase RNA expression (Zador, 1995) and ChAT RNA and lacZ reporter expression in the PNS (Yasuyama et al., 1995), which are good markers for cholinergic presynaptic neurons in Drosophila and other insects. The neurons innervating the chemosensory, chordotonal, and larval bolwig organs (Kitamoto et al., 1995; Yasuyama et al., 1995) are known to be cholinergic. In addition, many interneurons of the CNS also express ChAT and acetyl cholinesterase (Yasuyama et al., 1995; Zador, 1995). Unlike vertebrates, motor neurons in Drosophila generally use glutamate instead of acetylcholine as their neurotransmitter (Johansen et al., 1989). Similar to what others have found, our efforts to localize ChAT antigen itself in the neuronal cell bodies of the PNS and CNS using ChAT antiserum were not successful, and so we could not determine the overlap of ChAT and KLP68D in the cell bodies with precision. However, since all of the cholinergic synapses are located in the CNS, ChAT staining was detected in the synaptic bulbs of the CNS neuropil (see Fig. 5 A), which provided an assay for ChAT transport in KLP64D mutants (see below). Figure 4. Segmental nerve bundles from a Klc1/Df(3L)8ex94 third instar larva, simultaneously stained with either mouse antiChAT (A) and rabbit anti-KLP68D (B) or with anti-ChAT (C and E) and rabbit anti-SYT (D and F). They are visualized using FITC anti–mouse and Cy5 anti–rabbit. Both frames are simultaneously excited and captured by separate photomultipliers in a single optical scan of 1-mm thickness. Accumulations of the respective antigens in the axons in individual clogs are marked by different sized arrows and arrowheads. Both KLP68D and ChAT antisera usually stain the same foci (clogs) in the nerve roots (see Table I for details). SYT generally does not associate (arrowheads in C and D) with the ChAT in these foci although occasional coincident staining is seen (arrows in E and F). Bar, 10 mm. Relative distribution of KLP68D and SYT antigen with respect to ChAT in Klc1/ Df(3L)8ex94 axons where these antigens accumulate in focal swellings (clogs). The numbers of clogs that stained positively only for SYT (SYT1 ChAT2), only for ChAT (SYT2 ChAT1), or both (SYT1 ChAT1) are shown. The relative overlap (percentage of colocalization among ChAT clogs) of either SYT or KLP68D staining with that of ChAT is expressed as the percentage of doubly stained clogs among the total number of ChAT positive clogs. Three individual larvae were examined for each set. it was possible to express functional mouse KIF3A in Drosophila using the GAL4-UAS system (Brand and Perrimon, 1993), and to demonstrate that KIF3A rescues KLP64D mutants (see below). Flies expressing KIF3A could then be used in coimmunoprecipitation experiments. Immunoprecipitations using the K2.4 mAb raised against sea urchin KRP85 (Cole et al., 1993) precipitated both KIF3A and KLP68D in flies expressing KIF3A, but not in wild-type (Fig. 5). Complementary immunoprecipitations using anti-KLP68D also precipitated both KIF3A and KLP68D in flies expressing KIF3A, but not in wildtype (Fig. 5). Control immunoprecipitations precipitated no immunoreactive material in any genotype. Thus, we propose that KLP64D, which is the sequence and functional homologue of KIF3A, also associates with KLP68D in vivo. Figure 5. Coimmunoprecipitation analysis. Immunoprecipitation from wild-type (WT) and mouse KIF3A expressing (3A1) Drosophila using K2.4 mAb raised against sea urchin KRP85, affinity-purified anti-KLP68D, or nonspecific Ig. Western blots of immunoprecipitates were probed with K2.4 or affinity-purified anti-KLP68D. further that KLP64D is a true functional homologue of KIF3A and KRP85. Thus, a complete KIF3A cDNA was placed under the control of GAL4-UAS sequences and introduced into the Drosophila genome by P-element transformation. Then we combined this transgene with a transgene encoding GAL4 driven by the neural elav promoter (Luo et al., 1994). This combination of elements gave complete rescue of Klp64Dk1 heterozygous with a Df(3L)Klp64DA8.n123 chromosome. Thus, when yw/Y; UAS-Kif3A,w1./1; Df(3L)Klp64DA8.n123 elav-Gal4 ,w1./TM3, Ser e ,y1. was crossed to yw/yw; 1/1; Klp64Dk1/TM3 Ser e ,y1., 92 progeny carrying UASKif3A,w1./1; Df(3L)Klp64DA8.n123 elav-Gal4 ,w1./ Klp64Dk1 were recovered, whereas no progeny carrying 1/1; Df(3L)Klp64DA8.n123 elav-Gal4 ,w1./Klp64Dk1 were recovered out of a total of 414 progeny, which is well within expected proportions. it is not selectively higher in the axons that showed accumulated ChAT as shown in F. E–H show equivalent regions of ventral ganglia from Klp64Dk1/TM3 (E and G), and the Klp64Dk1 homozygous third instar larvae, respectively. They are stained with a-bungarotoxin (E and F) and anti-CSP (G and H) and the pattern is similar between the control and mutants. The expression pattern and the behavioral defect in Klp64D mutant animals led to the hypothesis that the KLP64D motor complex might be involved in transporting the components of the acetylcholine-producing machinery. We tested this view by staining Klp64D mutant animals with ChAT antiserum. In wild-type third instar larvae, we found ChAT in abundance at many synapses in the neuropil of the ventral nerve chord and in the optic lobes of the larval brain (Fig. 6 A), whereas very little was observed in the cell bodies of the brain cortex. Counter staining with rhodamine-labeled a-bungarotoxin, which binds to the nicotinic acetylcholine receptors (nAChR) (Schloss et al., 1992), showed that the ChAT antigen is distributed in the neuropil similar to nAChR (Fig. 6 E). No ChAT immunoreactivity was observed in the axons (Fig. 6 C) of wild-type larvae. This staining pattern is consistent with previous reports (Yasuyama et al., 1995). In Klp64Dk1 and Klp64Dk5 homozygous third instar larvae, we observed accumulation of ChAT immunoreactivity in the cell cortex (Fig. 6 B, arrowheads) of the ventral ganglion. Closer examination of these mutant samples revealed considerable ChAT immunogen in the nerve roots (Fig. 6, B and D, arrows) and in the cell bodies (Fig. 6 B, arrowheads). In some samples, the ChAT immunoreactivity in the neuropil was reduced strikingly (data not shown) relative to the wild-type control. The abnormal staining pattern suggests that loss of KLP64D affects ChAT transport to the synapse, since no such ChAT staining is observed in the wild-type axons (Fig. 6 A, arrows). The a-bungarotoxin (Schloss et al., 1992) staining of nAChR on the postsynaptic membrane in the Klp64Dk1 homozygous mutants (Fig. 5 F) showed no detectable difference from wild-type (Fig. 6 E) control. 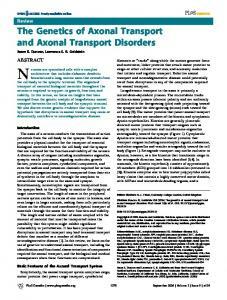 the general organization of the axonal transport machinery may be incorrect. That is, axonal transport is usually thought of as a neuronal process that uses a general machinery of neuronal motors, adapters, and carriers for transport of both specialized and ubiquitous axonal components (Hirokawa, 1998). Consistent with this view, there is good evidence for the existence of a general axonal transport machinery that uses ubiquitous neuronal kinesins such as unc104/KIF1A, KIF1B, and various forms of true kinesin to transport cargos used in all neurons such as mitochondria, synaptic vesicle components, and channels (Hall and Hedgecock, 1991; Otsuka et al., 1991; Nangaku et al., 1994; Hurd and Saxton, 1996; Yonekawa et al., 1998). However, our data suggest that there also may be specialized transport pathways activated or enhanced in specific classes of neurons. These neuronal classes may be defined by neurotransmitter or other phenotype, and may activate specific motors, adapters, and/or carriers for axonal transport. While kinesin-II in Drosophila (KLP64D and KLP68D) may provide the first recognizable example of such a cell type–specific axonal transport system, there may be others awaiting recognition or discovery. Although the reported expression patterns of kinesin motor proteins in vertebrate systems do not provide a clear test of the hypothesis that some motors are harnessed in cell type–specific axonal transport pathways, there are a few relevant anecdotal observations in the literature. In particular, KIF3B, KIF3C, and neuronal KHC have been reported to have expression patterns that are not uniform among neurons (Niclas et al., 1994; Muresan et al., 1998; Yang and Goldstein, 1998). KIF3B was reported to be expressed in a subset of Purkinje cells (Muresan et al., 1998), whereas neuronal KHC exhibits greatly elevated expression in a subset of neurons (Niclas et al., 1994). However, at present, in the absence of double staining experiments with good markers of neuronal phenotype, it is difficult to gauge whether some kinesins have strict cell type specificity in vertebrate neurons. Nonetheless, it is clear that even ubiquitous neuronal motor proteins, such as neuronal KHC, may not be expressed equivalently in all neuronal types. Although some of this nonuniformity in expression might be a consequence of overall transport requirements in large neurons, some of the heterogeneity might result from the need for cell type– specific axonal transport pathways in phenotypically differentiated neurons. We tested whether the loss of ChAT immunoreactivity at the synapse and the abnormal accumulation in the axons are a secondary effect of the lethality or other neural defects in the mutant animals lacking KLP64D. We examined Khc2 and Klc2 larvae, which die at the second instar and third instar larva stage, respectively, with significant axonal transport defects (Hurd and Saxton, 1996; Gindhart et al., 1998). We found that the intensity of ChAT staining in late second instar Khc2 as well as in late third instar Klc2 brains was not significantly reduced or altered as compared with the wild-type. Hence, it is unlikely that reduction of ChAT immunoreactivity is a secondary effect of lethality or general axonal transport defects. To test whether ChAT accumulation in Klp64Dk1 axons is a specific effect of KLP64D malfunction or a result of general axonal clogging, we stained Klp64Dk1 homozygous larvae at the third instar stage with antiactin (Fig. 6, C9 and D9), anti-SYT (data not shown) (Littleton et al., 1993), and anti-CSP (Fig. 6, G and H, and Fig. 5 H; Zinsmaier et al., 1994). We used Klp64Dk1/TM3 larvae as the wild-type control (Fig. 6 G). Since both SYT and CSP are integral parts of synaptic vesicles, they are transported to all chemical synapses and are likely to accumulate in general axonal clogs as seen in Khc and Klc mutants (Gindhart et al., 1998; Hurd and Saxton, 1996). We found no accumulation of SYT and CSP in the axons of the Klp64D mutant larvae (Fig. 6 H). In addition, we also stained the larvae with antiHRP, antitubulin, and antiactin (Fig. 6 D9) and found no detectable accumulation in the axon. Finally, we also noted that ChAT accumulation in Klp64D mutant axons is distinct from the clogs found in Klc or Khc mutants (see Fig. 4), since these accumulations do not cause obvious swelling of the axons. In fact, EM observation suggests that general CNS neuronal and axonal morphology is normal in Klp64D mutants (data not shown). Therefore, mutations in the Klp64D gene appear to cause selective accumulation of ChAT as opposed to general clogging. In fact, these results suggest that there are probably no clogs in these axons, which is dissimilar to Klc and Khc mutants. of this family have been found in the immotile dendritic sensory cilium of the rod photoreceptor, where they could move ciliary or sensory components (Beech et al., 1996) and are required to form early embryonic cilia of the node (Nonaka et al., 1998; Marszalek et al., 1999; Takeda et al., 1999). Finally, in Chlamydomonas, there is good evidence to support the view that kinesin-II motors are needed to drive the movement of intraflagellar particles or rafts of axonemal components such as inner arm dyneins (Kozminski et al., 1993, 1995; Walther et al., 1994; Piperno et al., 1996; Piperno and Mead, 1997). Together, these data have suggested a requirement for kinesin-II in transport in ciliated cells or neurons with degenerate dendritic sensory cilia. 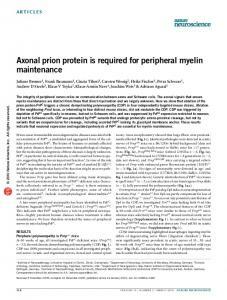 What has been unclear is the possible role of this family of motor proteins in axons of sensory and nonsensory neurons. Our work in Drosophila suggests that a unifying theme for kinesin-II motors may be that they are specialized to move cytosolic proteins in motile cilia and flagella, modified immotile dendritic sensory cilia, and in certain classes of axons. Since ChAT is generally thought to be a cytosolic protein, its dependence upon kinesin-II in Drosophila for transport may reflect this specialization. There is also evidence that kinesin-II motors may be associated with membranous components (Henson et al., 1995, 1997; Yamazaki et al., 1995; Le Bot et al., 1998; Muresan et al., 1998; Tuma et al., 1998; Yang and Goldstein, 1998). Thus, kinesin-II motors could, in principle, move both complexes of cytosolic protein components in axons and cilia as well as interact with membranous vesicles. Alternatively, the complexes of cytosolic proteins could interact intermittently with membranes to give the observed associations, similar to the suggestion that has been made for bead movements on the surface of Chlamydomonas flagellar membranes (Kozminski et al., 1995). An intriguing possibility in this regard is that the combinatorial interactions of kinesin-II polypeptides in obligate heterodimers might allow some forms to associate with soluble complexes and some to associate with membranous vesicles (Muresan et al., 1998; Yang et al., 1997). In this context, it remains formally possible that ChAT in Drosophila is not moved as a soluble protein complex, but instead as a “hitch-hiker” on membranous vesicles. Further work will be necessary to fully resolve these issues. mic matrix of Chlamydomonas flagella. Proc. Natl. Acad. Sci. USA. 94:4457– 4462. Piperno, G., K. Mead, and S. Henderson. 1996. Inner dynein arms but not outer dynein arms require the activity of kinesin homologue protein KHP1(FLA10) to reach the distal part of flagella in Chlamydomonas. J. Cell Biol. 133:371–379. Prahlad, V., M. Yoon, R.D. Moir, R.D. Vale, and R.D. Goldman. 1998. Rapid movements of vimentin on microtubule tracks: kinesin-dependent assembly of intermediate filament networks. J. Cell Biol. 143:159–170. Rogers, S.L., I.S. Tint, P.C. Fanapour, and V.I. Gelfand. 1997. Regulated bidirectional motility of melanophore pigment granules along microtubules in vitro. Proc. Natl. Acad. Sci. USA. 94:3720–3725. Rosenbaum, J.L., D.G. Cole, and D.R. Diener. 1999. Intraflagellar transport: the eyes have it. J. Cell Biol. 144:385–388. Sambrook, J., E.F. Fritsch, and T. Maniatis. 1989. Molecular Cloning: a Laboratory Manual. 2nd ed. Cold Spring Harbor Laboratory, Cold Spring Harbor, NY. 1659 pp. Schloss, P., W. Mayser, E.D. Gundelfinger, and H. Betz. 1992. Cross-linking of 125I-alpha-bungarotoxin to Drosophila head membranes identifies a 42 kDa toxin binding polypeptide. Neurosci. Lett. 145:63–66. Scholey, J.M. 1996. Kinesin-II, a membrane traffic motor in axons, axonemes, and spindles. J. Cell Biol. 133:1–4. Shakir, M.A., T. Fukushige, H. Yasuda, J. Miwa, and S.S. Siddiqui. 1993. C. elegans osm-3 gene mediating osmotic avoidance behaviour encodes a kinesinlike protein. Neuroreport. 4:891–894. Signor, D., K.P. Wedaman, L.S. Rose, and J.M. Scholey. 1999. Two heteromeric kinesin complexes in chemosensory neurons and sensory cilia of Caenorhabditis elegans. Mol. Biol. Cell. 10:345–360. Stewart, R.J., P.A. Pesavento, D.N. Woerpel, and L.S. Goldstein. 1991. Identification and partial characterization of six members of the kinesin superfamily in Drosophila. Proc. Natl. Acad. Sci. USA. 88:8470–8474. Tabish, M., Z.K. Siddiqui, K. Nishikawa, and S.S. Siddiqui. 1995. Exclusive expression of C. elegans osm-3 kinesin gene in chemosensory neurons open to the external environment. J. Mol. Biol. 247:377–389. Takeda, S., Y. Yonekawa, Y. Tanaka, Y. Okada, S. Nonaka, and N. Hirokawa. 1999. Left-right asymmetry and kinesin superfamily protein KIF3A: new insights in determination of laterality and mesoderm induction by kif3A2/2 mice analysis. J. Cell Biol. 145:825–836. Tandon, A., M. Bachoo, P. Weldon, C. Polosa, and B. Collier. 1996. Effects of colchicine application to preganglionic axons on choline acetyltransferase activity and acetylcholine content and release in the superior cervical ganglion. J. Neurochem. 66:1033–1041. Tautz, D., and C. Pfeifle. 1989. A non-radioactive in situ hybridization method for the localization of specific RNAs in Drosophila embryos reveals translational control of the segmentation gene hunchback. Chromosoma. 98:81–85. Tuma, M.C., A. Zill, N. Le Bot, I. Vernos, and V. Gelfand. 1998. Heterotrimeric kinesin II is the microtubule motor protein responsible for pigment dispersion in Xenopus melanophores. J. Cell Biol. 143:1547–1558. Vashishtha, M., Z. Walther, and J.L. Hall. 1996. The kinesin-homologous protein encoded by the Chlamydomonas FLA10 gene is associated with basal bodies and centrioles. J. Cell Sci. 109:541–549. Walther, Z., M. Vashishtha, and J.L. Hall. 1994. The Chlamydomonas FLA10 gene encodes a novel kinesin-homologous protein. J. Cell Biol. 126:175–188. Yamazaki, H., T. Nakata, Y. Okada, and N. Hirokawa. 1995. KIF3A/B: a heterodimeric kinesin superfamily protein that works as a microtubule plus end-directed motor for membrane organelle transport. J. Cell Biol. 130: 1387–1399. Yang, Z., and L.S. Goldstein. 1998. Characterization of the KIF3C neural kinesin-like motor from mouse. Mol. Biol. Cell. 9:249–261. Yang, Z., D.W. Hanlon, J.R. Marszalek, and L.S. Goldstein. 1997. Identification, partial characterization, and genetic mapping of kinesin-like protein genes in mouse. Genomics. 45:123–131. Yasuyama, K., T. Kitamoto, and P.M. Salvaterra. 1995. Localization of choline acetyltransferase-expressing neurons in the larval visual system of Drosophila melanogaster. Cell Tissue Res. 282:193–202. Yonekawa, Y., A. Harada, Y. Okada, T. Funakoshi, Y. Kanai, Y. Takei, S. Terada, T. Noda, and N. Hirokawa. 1998. Defect in synaptic vesicle precursor transport and neuronal cell death in KIF1A motor protein–deficient mice. J. Cell Biol. 141:431–441. Zador, E. 1995. Expression of the acetylcholinesterase transcript in the chordotonal neurons of Drosophila embryos. Biochem. Genet. 33:41–49. Zinsmaier, K.E., K.K. Eberle, E. Buchner, N. Walter, and S. Benzer. 1994. 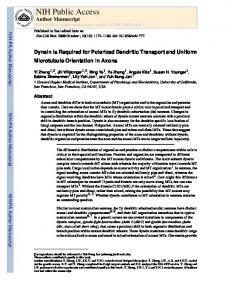 Paralysis and early death in cysteine string protein mutants of Drosophila. Science. 263:977–980. 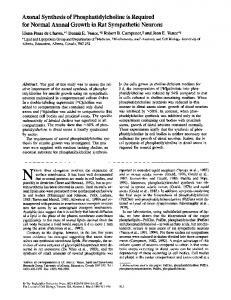 Report "Kinesin-II Is Required for Axonal Transport of Choline ..."